CAD Schroer has once again set standards in design, ergonomics and technology with the latest generation of its plant design and factory layout software. Cambridge, UK and Pittsford, NY – 20 April 2016: Today is the day; CAD Schroer releases the result of years of research, analysis and development with the latest generation of MPDS4 R6. 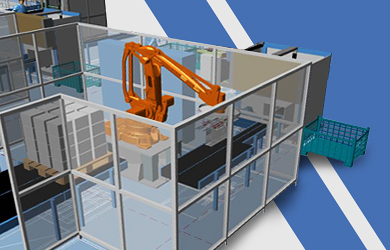 The 3D design solution open a new chapter for the integrated planning of manufacturing plants and factories. The new R6 generation of MPDS4 is available now. MPDS4 has always evolved on the basis of customer requests and their industry-specific requirements. CAD Schroer has written a new chapter in plant design and factory layout with MPDS4 R6 and brought a software generation onto the market that meets the needs of today, tomorrow and well into the future. The new MPDS4 R6 has upped performance considerably and thus enables barrier-free work in 3D almost independent of size. The software architecture eliminates typical 3D weaknesses and makes performance faster than ever before, whilst taking up a minimum of hardware resources. The latest R6 generation of MPDS4 also comes in new, industry-oriented packages. CAD Schroer has made sure that the packages remain affordable and flexible. As in the past, customers can choose between licenses for single workplaces or for networks. The application can also be leased for three or twelve months, which cuts costs dramatically. 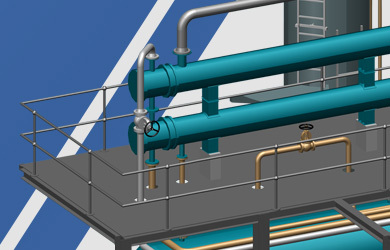 In addition, CAD Schroer offers comprehensive service packages containing all updates and both hotline and online support. 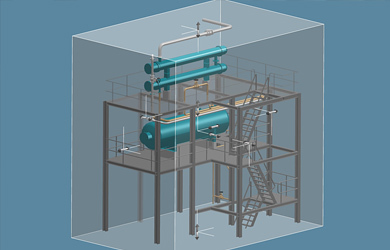 CAD Schroer is releasing the new generation of the MPDS4 software across the globe with immediate effect. MPDS4 R6 can be simply downloaded from the Internet. Everyone can now experience the latest generation of the plant design and factory layout software at first hand and get an idea of the many new features contained in MPDS4 R6. MPDS4 steps into a new generation with R6. The latest MPDS4 R6 is in all respects a completely optimised and improved version of the plant design and factory layout software which has proved itself throughout the world. CAD Schroer has set clear standards in design, Ergonomics and technology with its latest software generation and has thus invested in the future of its customers.